A female died Wednesday after she was chased and shot several times on Chicago's Northwest Side, police said. 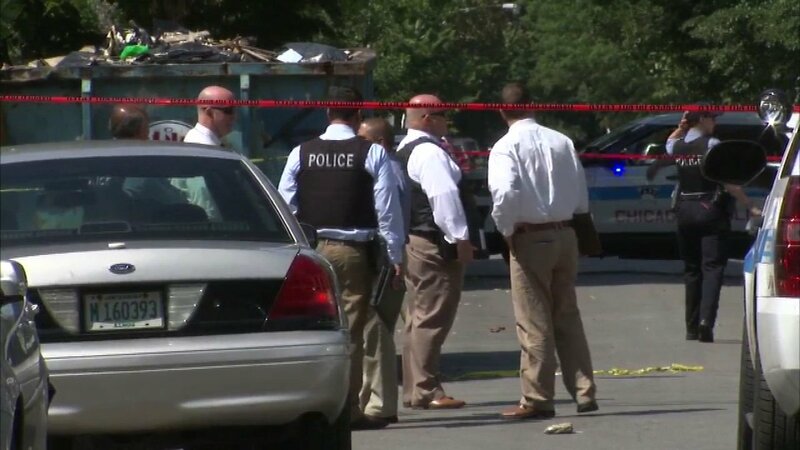 CHICAGO (WLS) -- A female victim died Wednesday after she was chased and shot several times on Chicago's Northwest Side, police said. Neighbors found the victim unresponsive around 10:30 a.m. in the 3200-block of West Cortland Street. She was transported in "grave condition" to Stroger Hospital, where she was pronounced dead, police said. Her identity has not yet been released. A witness told investigators she was near North Spaulding Avenue and Cortland when a black Dodge Charger with tinted windows pulled up. The shooter allegedly got out of the vehicle, chased her on foot and fired several shots at her. She was struck 12 times. The gunman got back into the Charger and took off, police said. The suspect was described to police as a black male, around 20 years old, with a medium complexion. He was wearing a red t-shirt.